Ask any emergency doctor or medic about the most commonly used tool by them, and the reply will most likely be – the stethoscope. That’s why it’s very hard to find a doctor without this device hanging around their neck. In fact, no diagnostic toolkit is complete without a stethoscope in it. And this is the norm not for years but for as long as the medical profession exists. In general, the stethoscope is used to diagnose heart problems or identify respiratory issues. The device is used to check the heart and lungs and proceed with the diagnosis. It helps for making auscultation a far better experience to doctors. There are stethoscopes available specially for Cardiology, Nursing, Pediatrics, ER, EMT/EMS, Physician or Veterinary needs. Furthermore, there is the littmann stethoscope which is perhaps the most popular brand name in the medical profession. In fact, there are stethoscopes especially for students so that they can perform preliminary diagnosis easily. So, before buying one for yourself, it’s important to understand their different type and then make an informed decision. 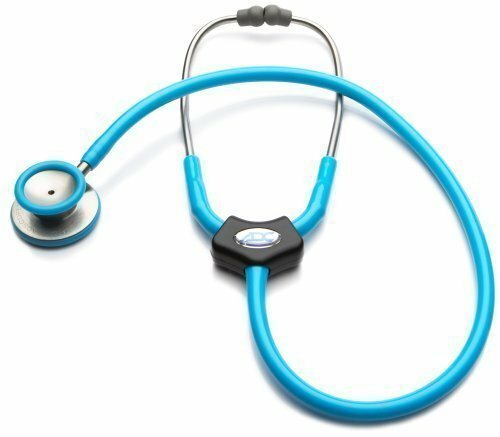 There are obviously different types of stethoscopes available in the market to serve medical professionals as per their areas and branch. The selection thus comes down to the domain of expertise and the preferences one deals with. These are perhaps the most common type. They are used by physicians, paramedics, EMTs and veterinarians. They don’t require any additional equipment to provide results. The doctor must place the bell of the device on the chest and interpret the vibrations. They can pick even low frequency sounds with ease as they have an electromagnetic diaphragm. Naturally, they cost significantly more than mechanical ones purely for the ability of picking up the noise of any frequency and magnifying it with ease. Their only use is related with expecting mothers as it is used to pick up the sound of the baby’s heartbeat. They thus have simplicity of design and functionality. Their design looks the same as that of an acoustic but are more sophisticated and capable of picking even the faintest of sounds. Cardiologists use them in mostly noise-less conditions to pick up murmurs and arrhythmia in the heart. These stethoscopes also look very similar to the acoustic type but are smaller in size. They are designed to pick up the softer sounds made by an infant heartbeat. These devices are specifically meant for emergency rooms where they are used to pick up on ultrasound waves. They are used to transmit the faintest of heartbeats. Choosing a stethoscope is not an overly complicated matter but yes, it is important to keep in mind a few things while making the right decision. So, before you look to buy Littmann stethoscopes in India, make sure you know its features and usages. Whether you need a device with higher sound amplification or a standard one, will depend on the environment you work in. Electronic stethoscopes are best suited in cases where doctors work in a loud setting or clinic with regular streams of visitors. And if the setting is not loud, non-electronic stethoscopes would be a more appropriate choice. You should understand the stethoscopes differ in their design and capabilities with regards to specific frequencies. So, it makes sense to go with a pediatric stethoscope, not one for adults, when you have to treat children and infants. Chest pieces are of varying sizes having a bell and diaphragm design. It’s always a good decision to buy the device that comes with different kinds of diaphragms. You can go for a standard fixed diaphragm and can also get a model that can deal with varied sound responses as per the pressure on it. Whether the device has a single or double tube is also a criteria of selecting stethoscopes. Single wall tubes are considered superior in every aspect so you can give them a try. On the other hand, double wall tubing will be thicker and can insulate the sound from the diaphragm to your ears. So, make your choices clear and buy littmann stethoscope online India for ease and convenience. How long the device will last depends a lot on the kind of materials used. And when it comes to durability, you should by the stethoscope that has stainless steel tubing and antimicrobial plastics. Such materials, tend to be harder are good at picking and transferring sound. They also deliver the best performance in the long run.